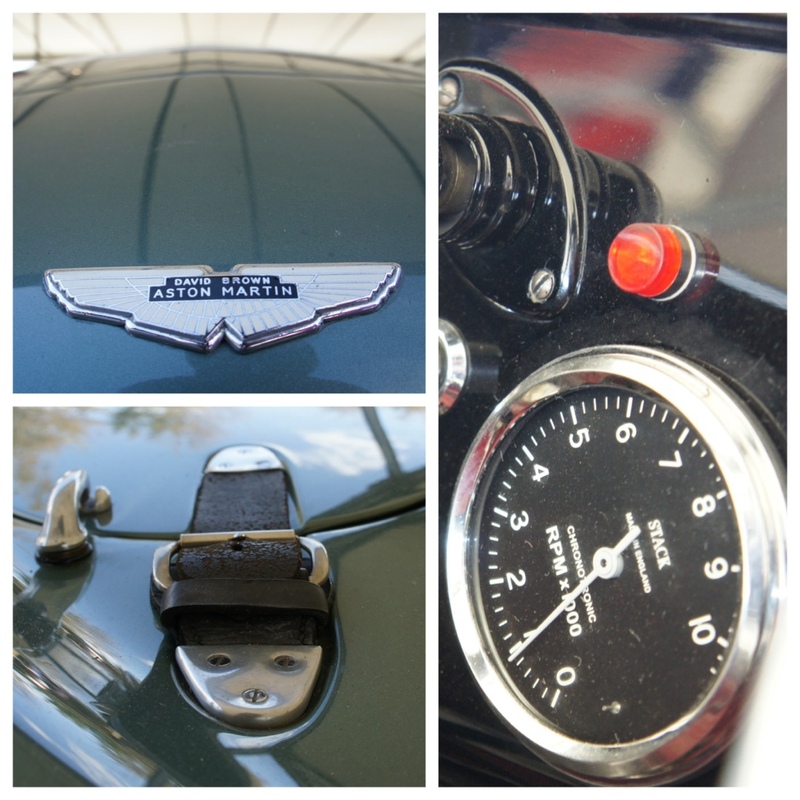 I was incredibly fortunate to spend Saturday at the Goodwood Revival. Saying I’m keen on cars is a bit of an understatement and being able to get so close to so many iconic vehicles was a real treat. 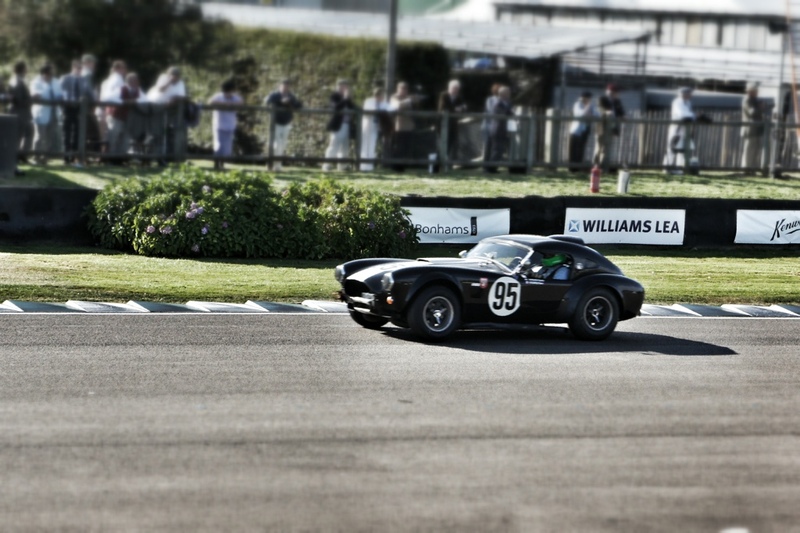 Seeing the cars blast around the Goodwood circuit was brilliant. Being near enough to the action to grab a snap or two was a bonus. My first decent snap was of this beautiful Stingray. 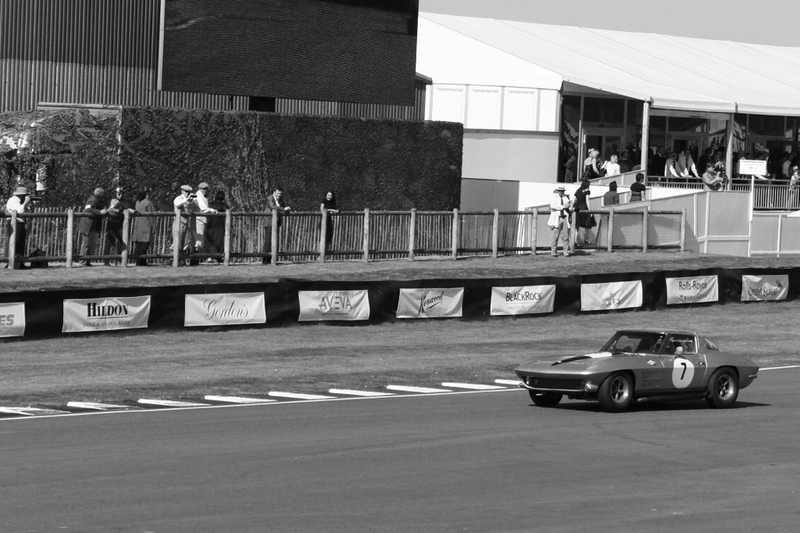 Racing against Ferraris and E-Types, it held own its both in terms of performance and looks. 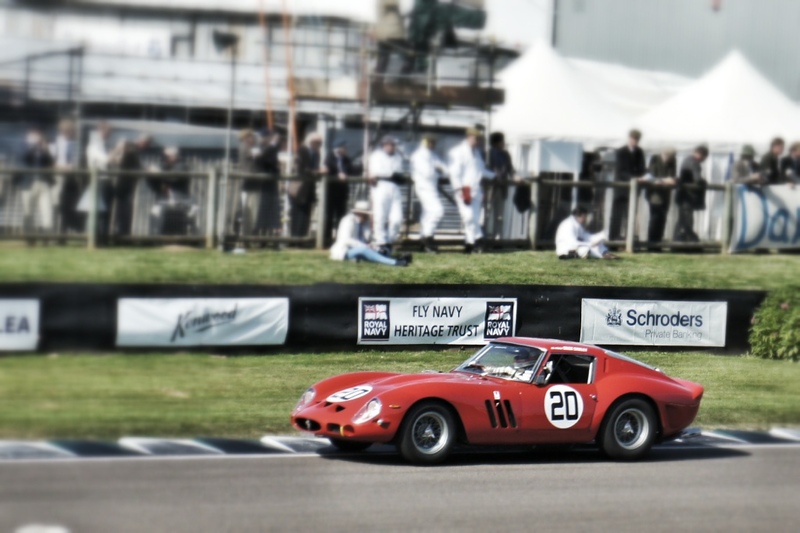 During the same race, I managed to capture this stunning Ferrari 250, one of the prettiest cars ever built, as it blazed across the track. As a child, I had a scale model of this car on a shelf in my room and I worshipped it. Seeing it race just yards away was a dream fulfilled. 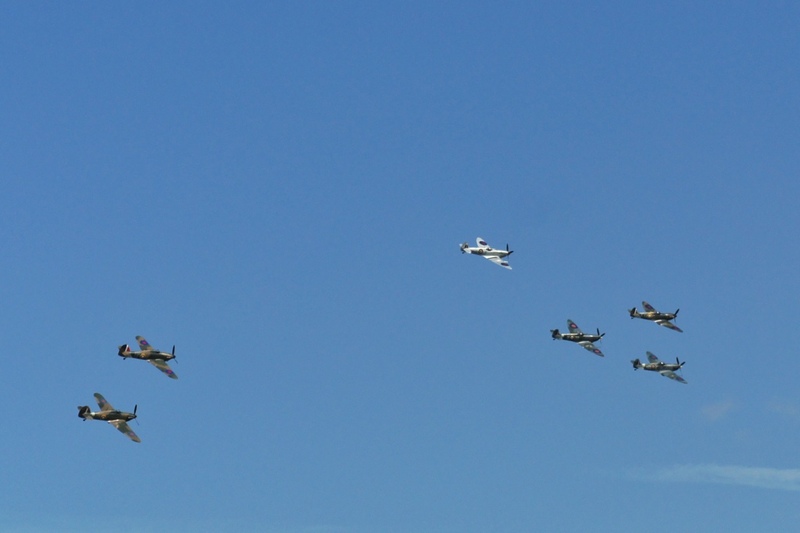 There was also plenty to see in the sky, with a range of Spitfires, Hurricanes and other fighter planes and jets soaring, swooping and loop the looping. Away from the track, I took the opportunity to wander around the paddock. I took a lot of photos here but the stand-out was this Mercedes. 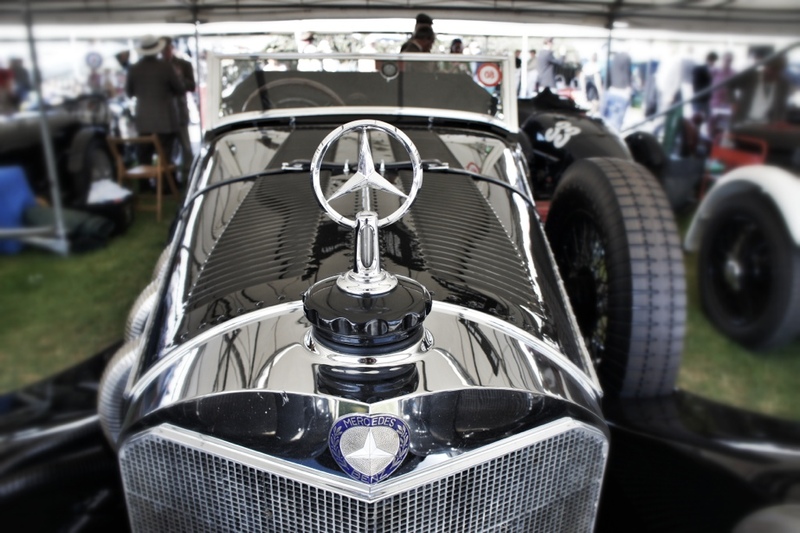 It’s louvred bonnet vents, big emblem and aggressive ‘V’ nose harks back to a time before aerodynamics, when performance came down to engine size; from the size of the bonnet, it’s a sure bet this particular car was a supercar in its day. Elsewhere in the paddock was this beautiful 1950s Aston Martin racer. The badge references David Brown, who owned the firm during its 50s and 60s glory days. His initials are still used today in the names of the brand’s grand tourers. Back on track there were some less exotic, but no less aggressively driven cars strutting their stuff. 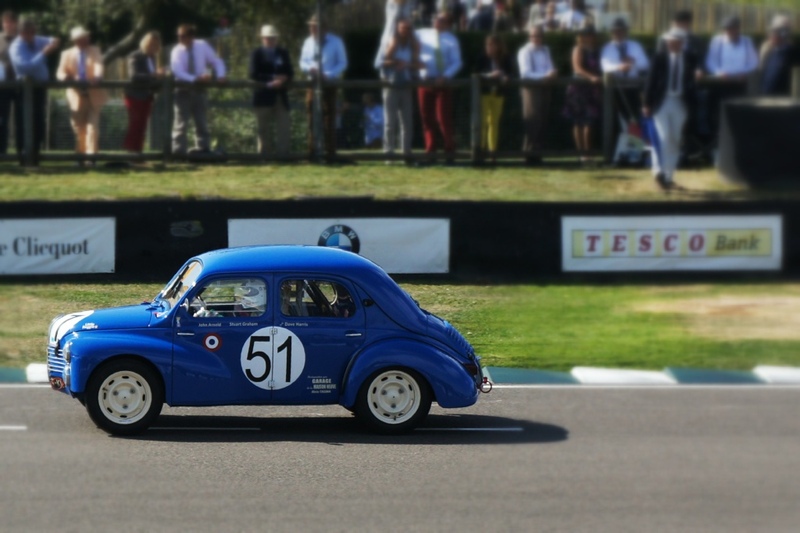 This chirpy Renault 4CV caught my eye with its bright blue paintwork, heavy revving and surprisingly strong performance, as it fought to keep up with bigger Jaguars and more powerful BMWs. For me, the big race on Saturday was all about Cobras. These two-seaters are iconic for their wonderful design (made by AC cars of Thames Ditton fame) and, after some tweaking from American motor legend Carroll Shelby, the monstrous Ford V8s under the hood. Over the road, by the fairground, there were lots of classic cars for sale. My favourite was this Series One Range Rover, which has the rather snazzy chassis number: 007. 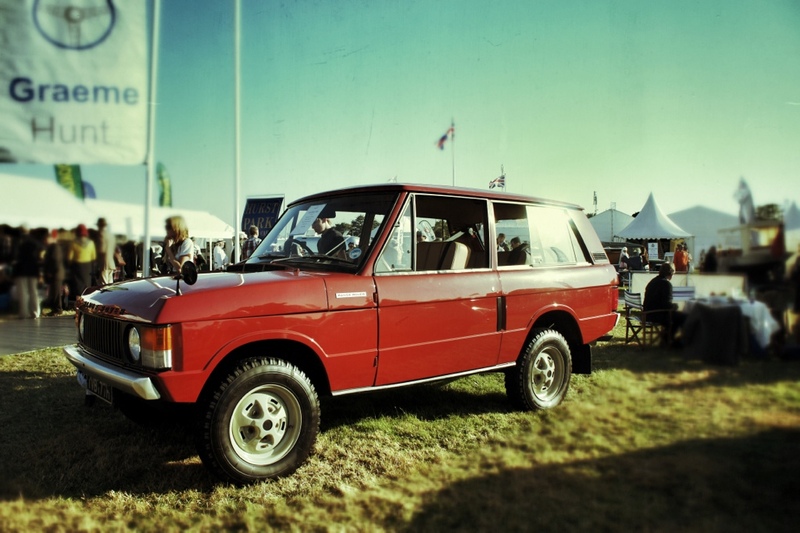 The Series One is the original Range Rover. It has only two doors, despite its considerable size. It was considered so attractive when it was launched in 1970 that one was exhibited in the Louvre in Paris, France, in the early 1970s. All in all, it was a truly glorious day.